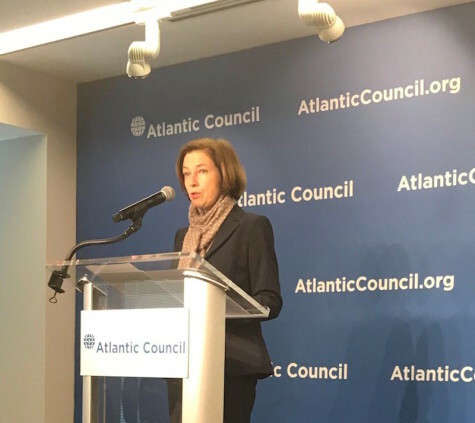 She tied this problem, however, directly with the lack of European autonomous capabilities, noting that the United States currently provides the Alliance with 91 percent of air tankers, 92 percent of its medium- and high-elevation unmanned aerial vehicles, and 100 percent of its strategic bombers and missile defense systems. Parly also pushed back on Trump’s portrayal of NATO as a drag on US resources. “The Alliance is not a one-way operation. There is a strong pay-back for the United States,” she said. France, she explained, “has been America’s most effective ally,” pointing to the contribution of armed forces in the war in Afghanistan and the fact that Paris “was among the very first to enlist” in the US-led coalition to defeat ISIS in Iraq and Syria. David A. Wemer is assistant director, editorial, at the Atlantic Council. Click here for Parly’s speech, as prepared, on the French Armed Forces Ministry website.